6 hours of hands-on pedagogy-based training. We will start with the intellectual side to develop understanding and then we will get you outside taking 360 images, using your own 360 cameras, or your phone with the Google Street View app. Follow- up project and implementation support. webinars, Invitation to PLN. 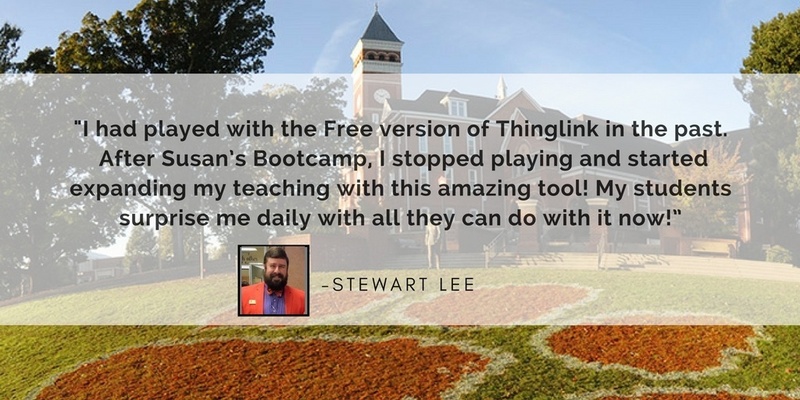 Our goal is to help you make the best use of ThingLink for the entire year! Space is limited to 25 participants. Register today to reserve your spot!